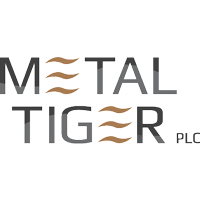 The share price for Metal Tiger PLC with EPIC code: LON:MTR has increased 6.69% or 0.1 points during the course of today’s session so far. Market buyers have stayed positive during the session. The periods high figure was 1.55 and hitting a low of 1.46. The amount of shares exchanged has so far reached 1,226,043 whilst the average number of shares exchanged is 4,974,688. The 52 week high is 3.44 some 1.99 points different to the previous business close and a 52 week low sitting at 1.32 a difference of some 0.13 points. Metal Tiger PLC now has a 20 moving average of 1.76 and now its 50 day simple moving average now at 2.05. This puts the market cap at £21.48m at the time of this report. The share price is in Great British pence. Mcap is measured in GBP. This article was written with the last trade for Metal Tiger PLC being recorded at Tuesday, December 4, 2018 at 11:35:28 AM GMT with the stock price trading at 1.55 GBX. The share price for ImmuPharma PLC with company EPIC: LON:IMM has climbed 6.15% or 0.75 points in today’s trading session so far. Buyers are a positive bunch while the stock has been in play. The high for the period has peaked at 12.95 meanwhile the session low reached 12.64. The total volume of shares traded by this point was 74,486 whilst the daily average number of shares exchanged is just 1,319,489. The 52 week high price for the shares is 193.74 which is 181.54 points difference from the previous days close and the 52 week low at 9.06 which is a difference of 3.14 points. ImmuPharma PLC now has a 20 simple moving average of 13.96 and now its 50 day simple moving average now of 12.91. 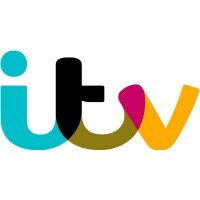 The market capitalisation currently stands at £18.06m at the time of this report. The currency for this stock is Great British pence.Market cap is measured in GBP. This article was written with the last trade for ImmuPharma PLC being recorded at Tuesday, December 4, 2018 at 9:36:59 AM GMT with the stock price trading at 12.95 GBX. Stock in Mysale Group PLC company symbol: LON:MYSL has gained 5.62% or 2.03 points throughout the session so far. Market buyers have remained positive during the trading session. Range high for the period has seen 39 dipping to 35.19. The volume total for shares traded up to this point was 86,770 with the average number of shares traded daily being 44,239. The 52 week high is 118 about 81.8 points difference from the previous days close and putting the 52 week low at 32.5 a difference of some 3.7 points. Mysale Group PLC now has a 20 SMA at 40.75 and also a 50 day simple moving average now of 45.31. The current market cap is £60.64m at the time of this report. The share price is in GBX. Mcap is measured in GBP. This article was written with the last trade for Mysale Group PLC being recorded at Tuesday, December 4, 2018 at 12:02:57 PM GMT with the stock price trading at 38.23 GBX. Shares of GlaxoSmithKline plc with EPIC code: LON:GSK has increased 1.2% or 18 points throughout today’s trading session so far. Traders have stayed positive while the stock has been in play. The period high has peaked at 1522.2 dropping as low as 1499.6. The volume total for shares traded up to this point was 3,802,021 with the daily average traded share volume around 11,387,689. The 52 week high for the share price is 1648.8 amounting to 150.8 points difference from the previous days close and putting the 52 week low at 1179.39 which is a variance of 318.61 points. GlaxoSmithKline plc has a 20 SMA of 1583.82 and a 50 day SMA of 1551.34. The market capitalisation is now £75,178.58m at the time of this report. Share price is traded in GBX. Mcap is measured in GBP. This article was written with the last trade for GlaxoSmithKline plc being recorded at Tuesday, December 4, 2018 at 12:03:32 PM GMT with the stock price trading at 1516 GBX. Shares of Land Securities Group plc company symbol: LON:LAND has moved up 1.21% or 9.8 points throughout today’s trading session so far. Market buyers have stayed positive during the session. The period high was 817.2 while the low for the session was 807.8. The amount of shares exchanged has so far reached 474,460 with the average number of shares traded daily being 2,857,242. The stock 52 week high is 1017.33 equating to 210.73 points difference from the previous days close and the 52 week low at 802.4 which is a variance of 4.20 points. Land Securities Group plc has a 20 SMA of 863.56 and a 50 day SMA of 861.39. Market capitalisation is now £6,053.29m at the time of this report. Share price is traded in GBX. Mcap is measured in GBP. This article was written with the last trade for Land Securities Group plc being recorded at Tuesday, December 4, 2018 at 12:03:30 PM GMT with the stock price trading at 816.4 GBX. Click GSK IMM LAND MTR MYSL for the full archive.